Stress can come from many different sources — and it can be disruptive at work and at home. While common stresses like money and family are at the top of the list of issues, other areas in our lives like multitasking or uncertainty can increase stress level too. 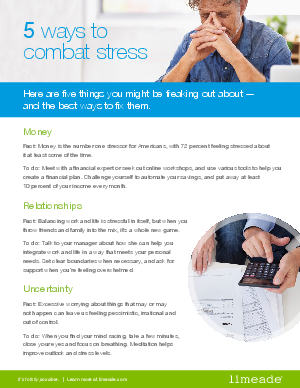 We all deal with worry in different ways but there are some common things you can do to combat stress and live a happier, less stressful life.